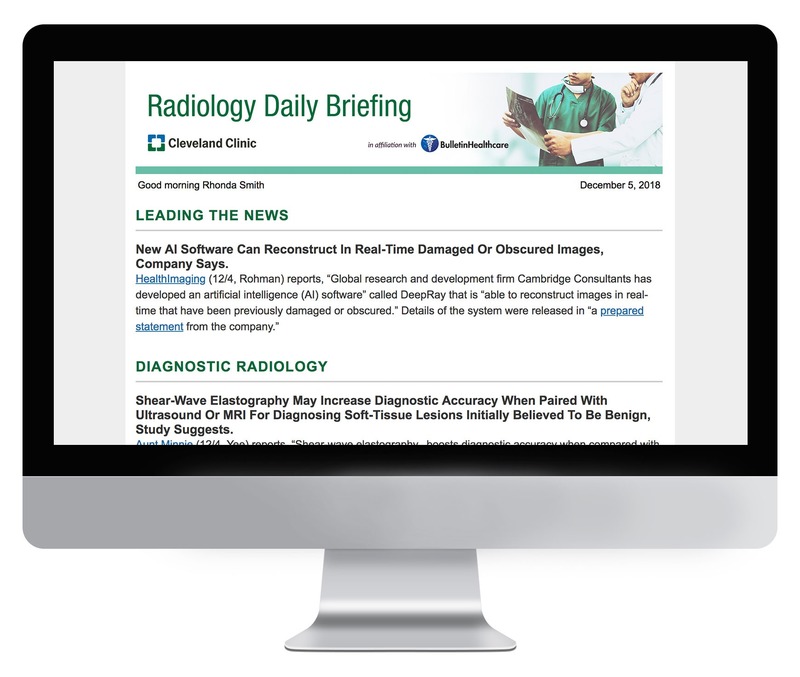 Radiology Daily Briefing is the morning newsfeed every radiologist needs to stay abreast of developments in their field. Content is sourced from thousands of medical journals, news media, and other outlets, and BulletinHealthcare’s team of expert healthcare analysts work over night to hone the stories to their most salient points. So radiologists get all of the news they need to deliver the best care possible.